If you saw a tall ornate frame that was missing the mirror at a thrift store, would you buy it? The angels sang when we found not one but a matching pair of tall finial style mirrorless frames and I instantly knew what I wanted to do with them. But I had to wait for the holidays. 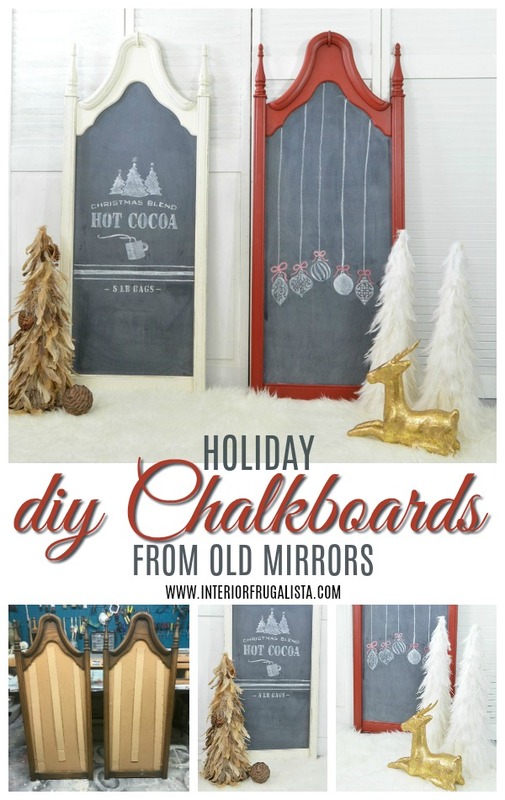 The wait is over and I can finally show you how to make holiday DIY chalkboards from old mirrors. Of course, they don't have to be used just for the holidays. I might use the red one in my office after Christmas. These are what the mirrorless frames looked like when we got them. They most likely came off a large dresser. 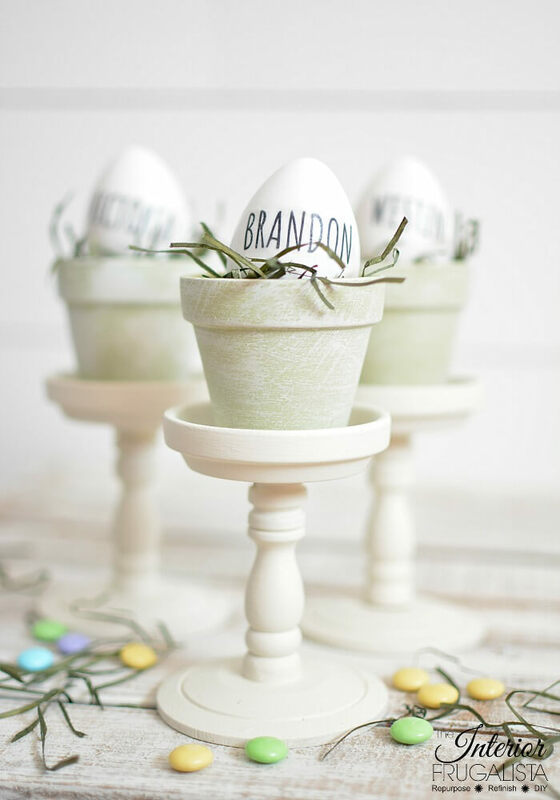 Just a few coats of paint and patience waiting for paint to dry are all you need to make these. 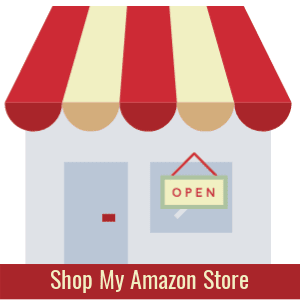 This post contains affiliate links for your convenience so you can see what products I used or recommend to make this project. I don't recommend products unless I've tried them first. See my full disclosure policy. Here's where we'll turn the old hardboard backing from the frames into chalkboards but first they should be primed. 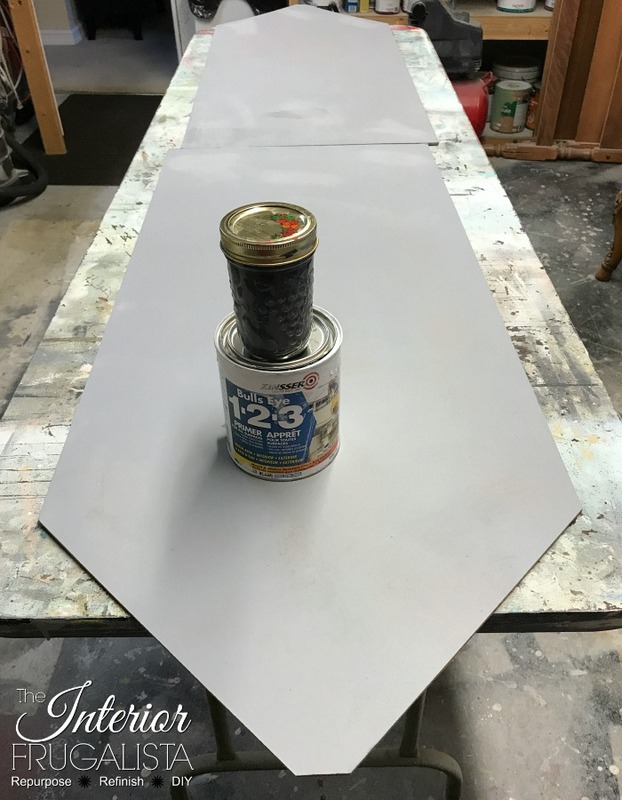 I darkened my go-to white primer with leftover grey chalk paint that I had on hand. I rolled the primer on with a 4-inch foam roller. 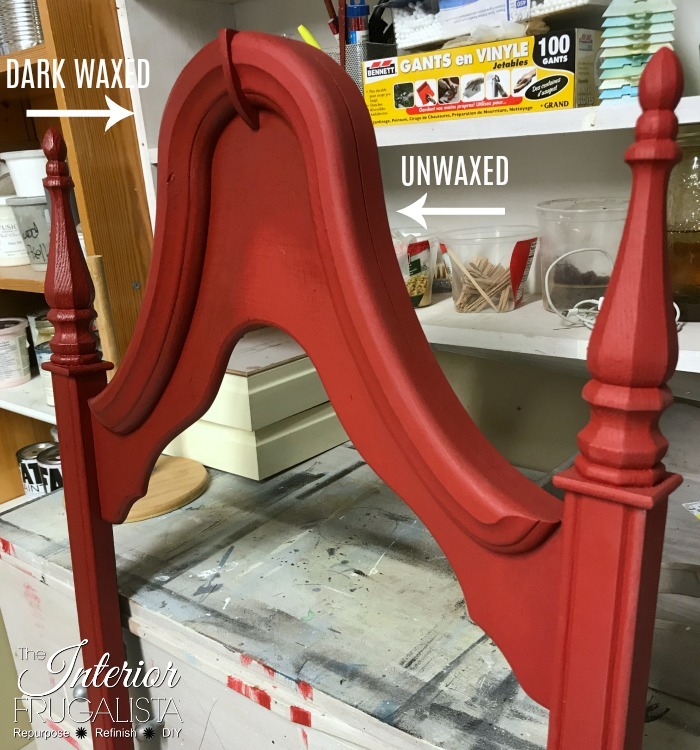 Once the primer was dry I rolled a thin coat of Black Rustoleum Chalkboard Paint. 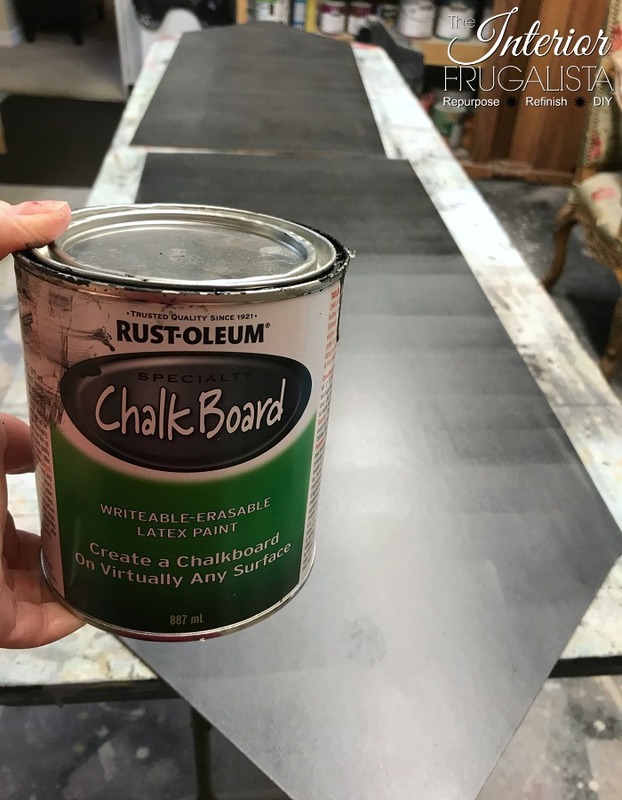 Thin coats are key for using this paint but flat latex or chalk paint also works for making chalkboards. The recommended dry time for this particular paint is four hours between coats. This is where patience comes into play so while the paint was drying I got busy painting the frames. I painted one frame festive Dixie Belle Barn Red and the other wintery Buttercream. Two thin coats of each color. 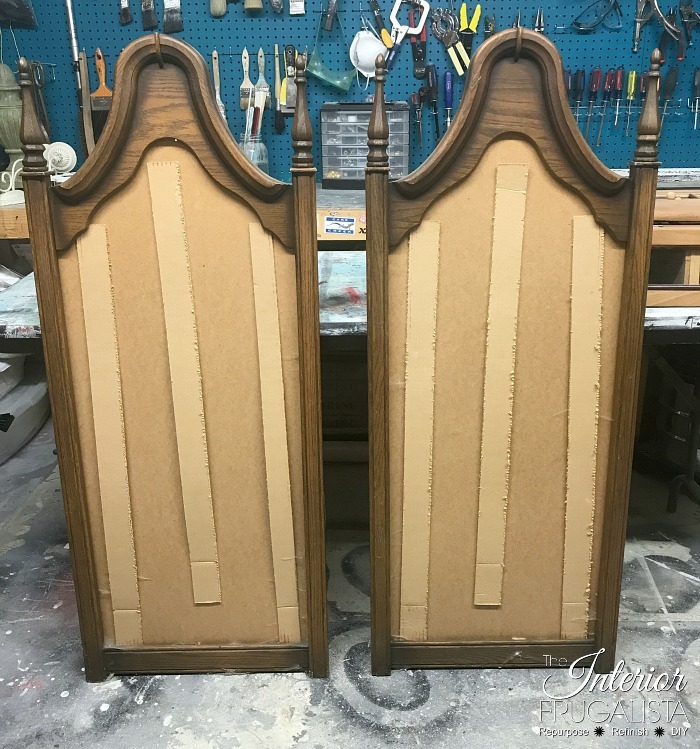 On the white frame, I lightly distressed the edges and around those lovely curves on the top with a 220-grit sanding pad. Because Dixie Belle mineral paint doesn't require a top coat and cures rock hard after 30 days, I left it clean. On the red frame, I aged the color with a coat of brown wax applied with a stiff bristle round brush. You can see the difference between the left side with the dark wax and the right side without wax. It adds so much depth to the color and gives the paint an aged patina. Before putting the chalkboards back into the frames I seasoned them. 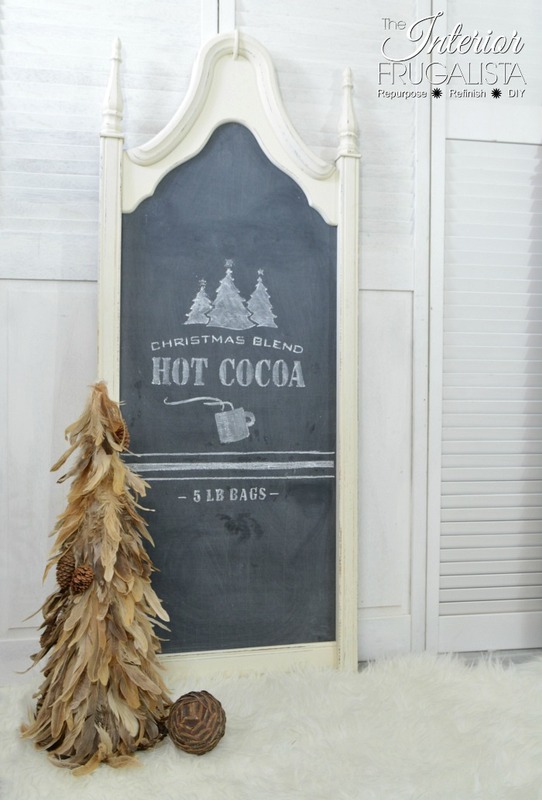 This is a must with DIY chalkboards unless you want your first creative drawing etched permanently. 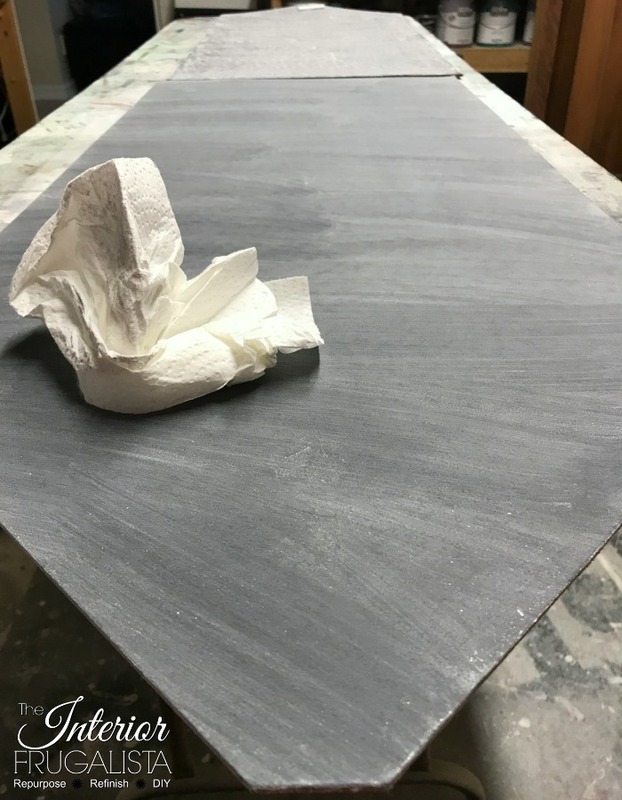 To season the new chalkboard simply rub the side of a stick of chalk both vertically and horizontally across the board and wipe with a paper towel or chalk brush. 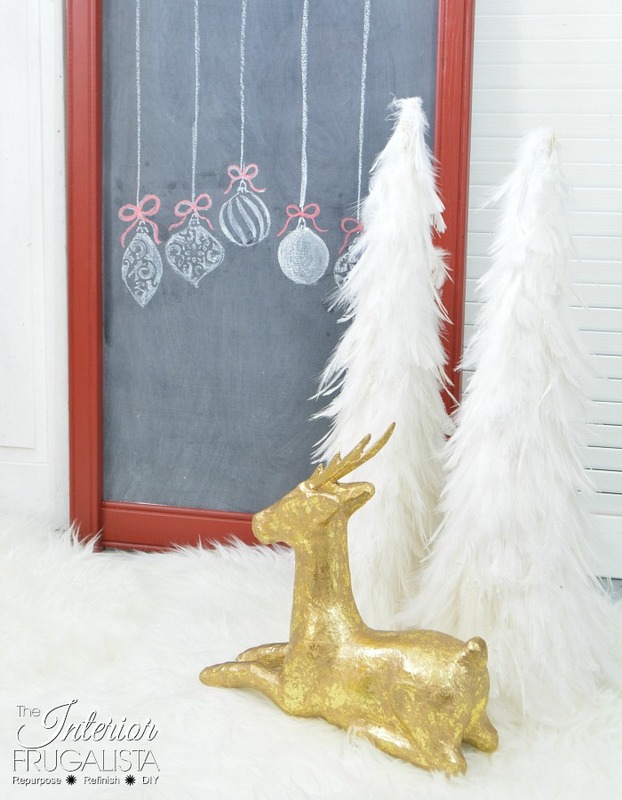 Time to have fun decorating your new chalkboards for the holidays! 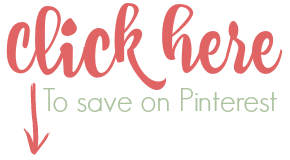 I used this ornament stencil on the red chalkboard - the same stencil I used for my Holiday IKEA Pillow Covers. 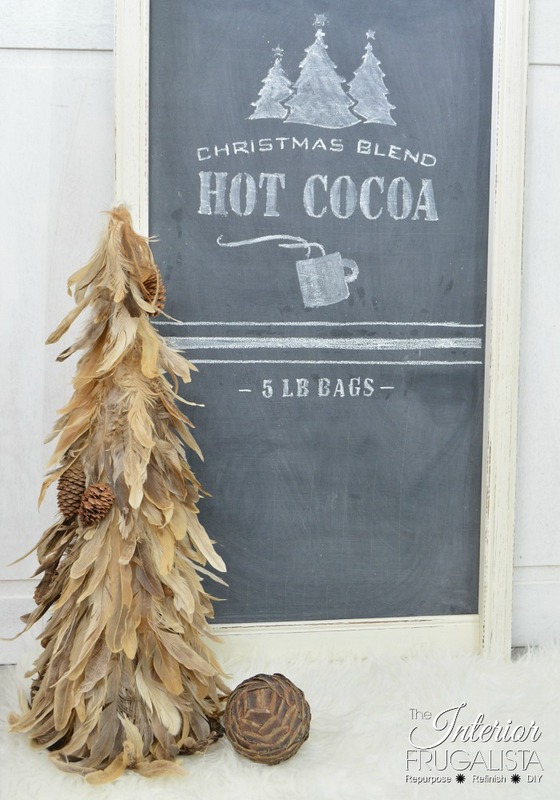 On the white chalkboard, I combined this homestead coffee stencil and this Christmas blend hot chocolate stencil to decorate mine. 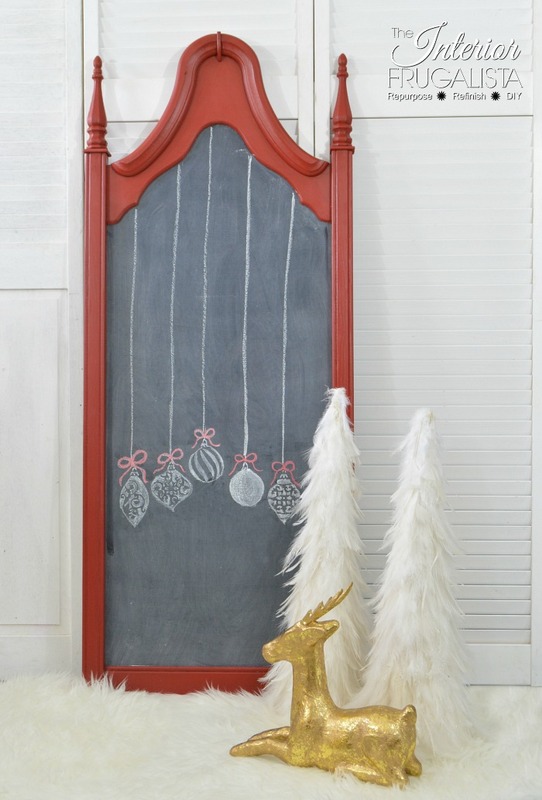 I love how festive the chalkboards look for the holidays but would look wonderful hanging on any wall in the house year-round. 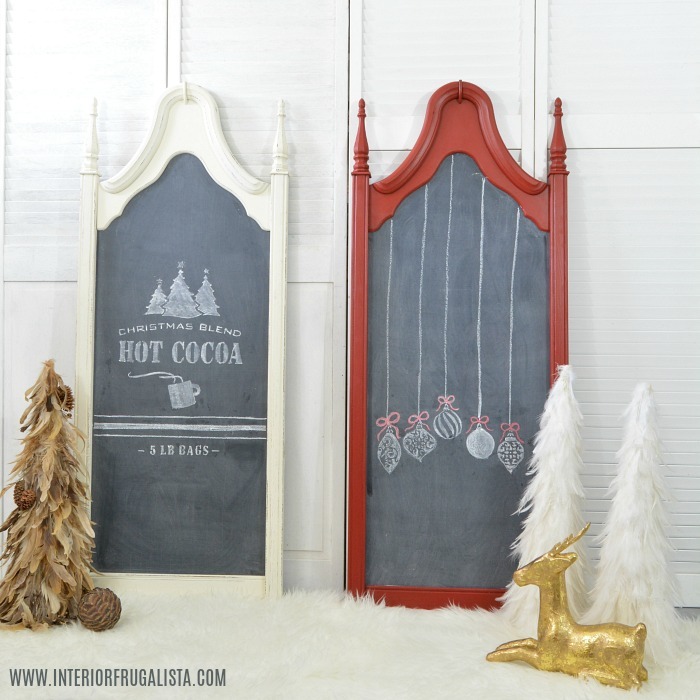 Do you decorate with chalkboards during the holidays? 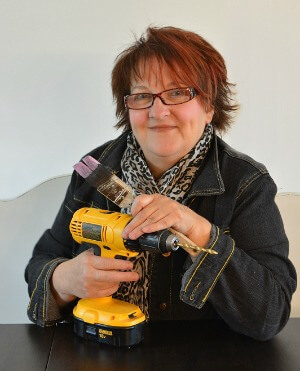 If so, how and where do you use them around your home? Here are some other DIY chalkboard ideas you may like.